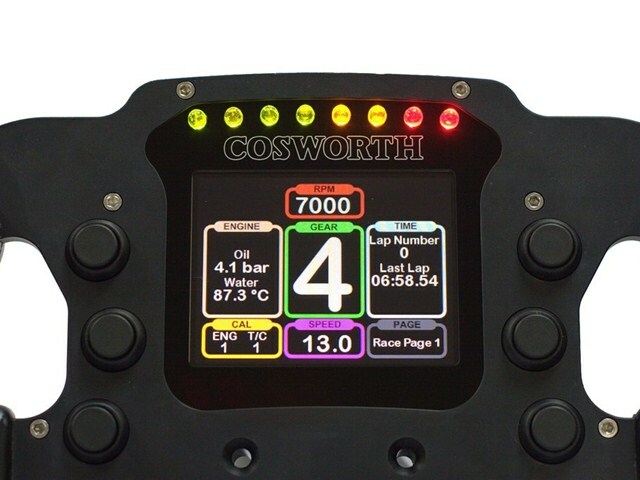 The Cosworth CAN Formula Wheel (CFW) is a 277mm diameter formula wheel for use in open and closed cockpit racing cars. 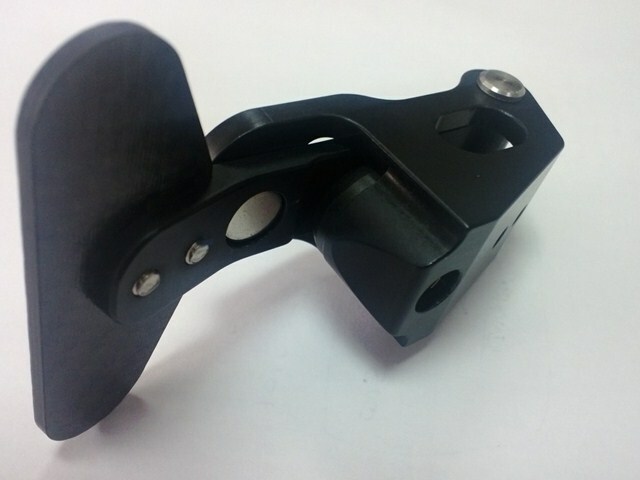 The CFW277 is constructed from aerospace grade aluminium with moulded rubber grips - technology derived from Cosworth's experience in building F1 steering wheels. The rich 320x240 QVGA 3.5" sunlight viewable TFT display is paired with 8 clearly visible shift lights, a high quality solution for a formula wheel delivering clear, precise and easy to read information to the driver. 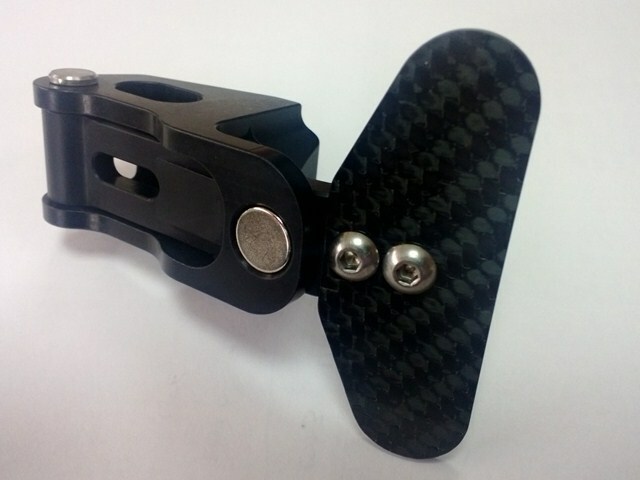 The CFW can be connected to the car via a coily cable, and has two connectors chosen to help keep loom prices cost effective. One connector carries switches and power, the other enables expansion to a paddleshift system. 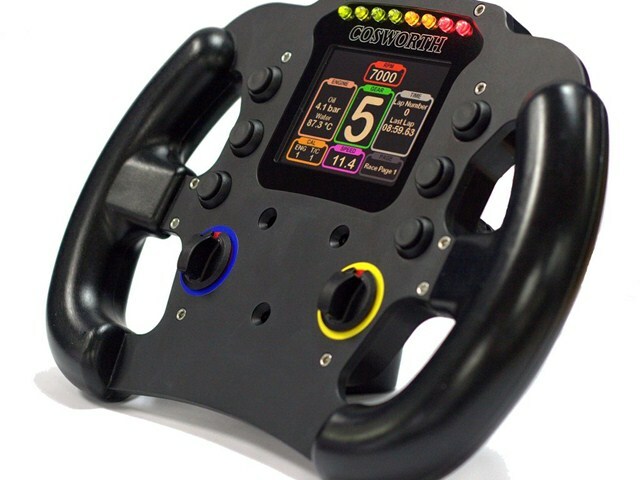 The wheel has been designed to accept industry standard paddles including Cosworth, Shiftec and Hewland as standard but others may be compatibile. 6 permanently fitted switches are ergonomically positioned for driver comfort and practicality all 6 switches are CAN based, two also being passed through the system connector for uses such as a radio button. The wheel design also offers the option to have two rotary switches fitted, including a professional sticker pack to allow the end user to easily mark the wheel up to their own specifications maintaining a sharp, F1-style visual attraction. Designed to be electrically robust, the CFW277 has reverse-battery, over-voltage and load dump protection built in.